The Wallenpaupack Area School District is located in the Pocono Mountains of Northeastern Pennsylvania. The school district is located in a predominately rural setting, drawing its student from a 325 square mile area of Wayne and Pike counties. The Wallenpaupack Area School District was formed in July, 1961. At that time the K-12 enrollment was 1,250 students; the district has experienced periods of rapid growth over the last decade. District enrollment is currently approximately 3,500 students. Formerly a region of small manufacturing, canal transport, lumbering, and farming, the present focal point of the area's economic life is Lake Wallenpaupack with its related resort and vacation enterprises. 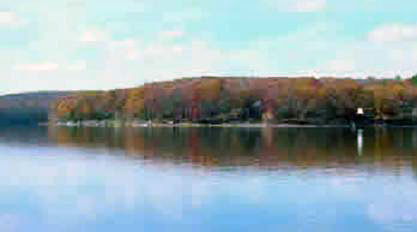 Lake Wallenpaupack, the second largest lake in Pennsylvania, was man-made by Pennsylvania Power & Light. Construction was completed in 1926. Before that, only a stream flowed through the beautiful valley. The local Leni Lenapi Indian tribe called the stream "Wallenpaupack" which means "the stream of swift and slow water." The Wallenpaupack Area School District's mission is to provide an educational environment that promotes excellence. Students will be able to communicate effectively and apply technology appropriately, thereby developing into lifelong learners who are responsible citizens of the world. Provide the opportunities for all students to reach their fullest potential. Provide a foundation of basic knowledge and skills. Develop in students the techniques necessary for lifelong learning. Entitled to an environment of learning that is safe, healthy and challenging. Accountable for meeting specific educational requirements. Lifelong learners with unique needs, abilities and learning styles. Keep lines of communication open with parents and students. Maintain high levels of expectations for students. Recognize and address the individuality and uniqueness of each student. Be knowledgeable, enthusiastic, caring, and impartial.